Every year my husband comes to me and asks, “Bert, what do you want for Mother’s Day?” And every year, since I became a mother in 2008, I can only think of one thing: I don’t want to do any chores on Mother’s Day. The kids are getting older now so the chores that I once got a reprieve from like changing diapers and washing bottles aren’t really something I have to do anymore. While I love the hanging plant that the kids get me every year, the flowers tend to die in August, and as far as giving my husband ideas for a physical gift I usually meet him with a deer-in-headlights kind of look. Not this year, Mamas, I have been on the HUNT looking for the perfect gifts for Mother’s Day. 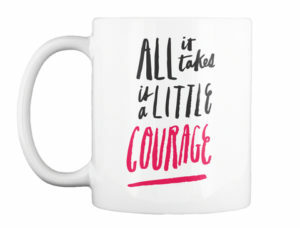 I’m in love with everything in this gift guide and I know you will love them too. Trust me when I say that you’re going to want to send this list to anyone who asks you what you want for Mother’s Day. Ben and I went away the weekend after tax season and I took a pair of SleepPhones with me. I have to tell you, I think any person who travels frequently needs to have a pair of these! They are so soft and would be perfect for a plane. 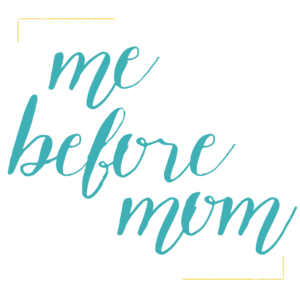 Every mother deserves rest, relaxation, and “me time”. You’d be surprised at what a little rest and relaxation can do for a woman. You can give Mom exactly what she needs this Mothers Day with SleepPhones. Not only does this headband have built in speakers, it’s cute and comfortable. Mom can listen to her favorite music or even an audio book by simply connecting her SleepPhones headband to her favorite device with Bluetooth. Whether you’re shopping for yourself, your wife, your mother, or your best friend, she’ll love her SleepPhones – especially when paired with a good book, nice candle, and soft robe. Your skin is your body’s largest organ so my motto has always been that you better take care of it! That’s why I like goodbeing . goodbeing (formerly goodebox) is a premium discovery & trial service providing expertly curated, healthy beauty products, non-toxic cosmetics, natural wellness & sustainable, toxin-free living goods. Each box is customized for each customer! Simply fill out the profile to tailor towards the mother you are gifting this to, and they will receive a box filled with 4-5 products to try out! Any mother will love this box because they will be able to pamper themselves (which we all know is a must for moms!) with the items included. I love beaded bracelets and bangles. This Mother’s Day give back while giving the gift of beautiful jewelry to the mom in your life. Bead for Life helps women find their spark. They provide business training and support so that women in Uganda who live in poverty can rise and become entrepreneurs. Your purchase helps ignite potential. When you wear BeadforLife paper bead jewelry, you’ll feel good knowing that you’re doing good! 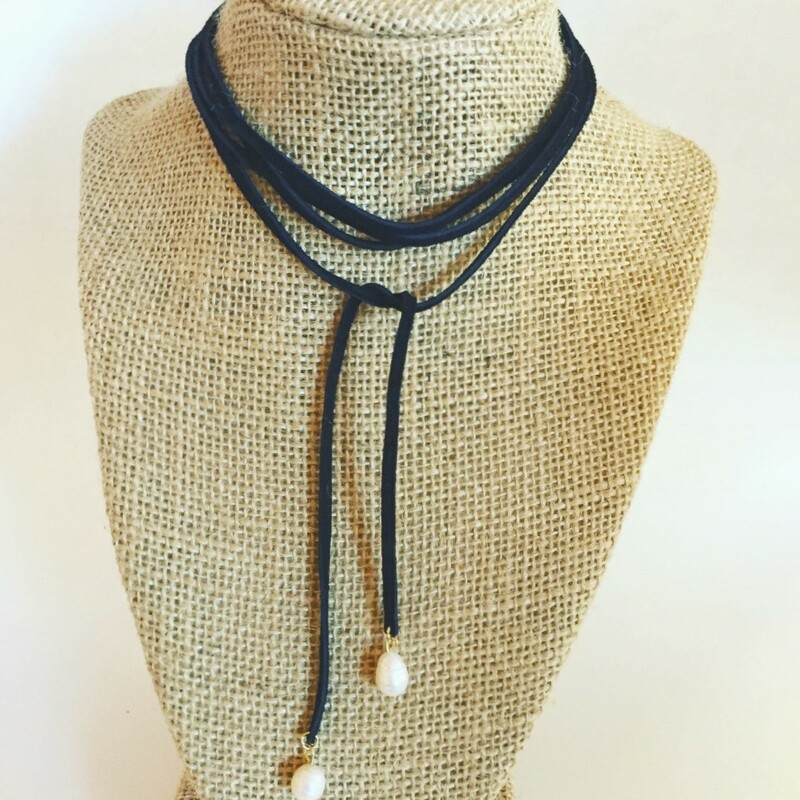 This affordable beaded jewelry is handcrafted by Ugandan women working to lift their families out of poverty. When you buy from BeadforLife, women are empowered to change their lives! Choose from a colorful selection of beaded necklaces, bracelets and earrings – all fair trade products that are handmade in Uganda. Where are my crunchy mamas? 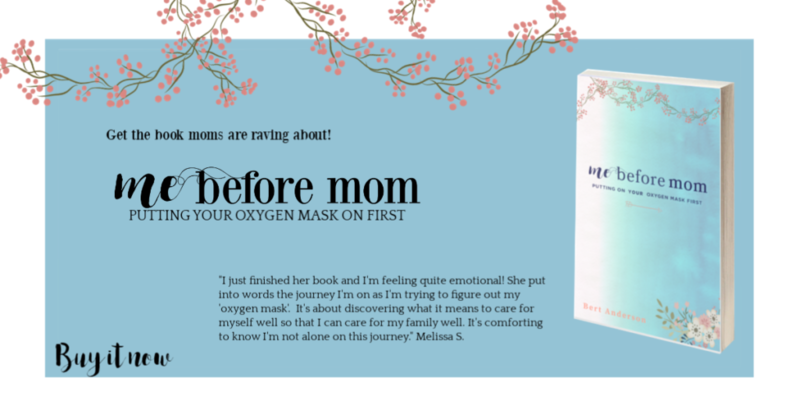 Every mother needs to take care of herself sometimes, which can be sometimes be difficult. With Wellness Tribe, you can provide the mom in your life with everything she needs to do it. Wellness Tribe is the one subscription box for everything wellness. Each month receive 5-8 hand picked products from the best natural, non-GMO, organic, eco-friendly brands. Every box is designed to promote vitality and is your loving reminder to make time for self care. You can expect everything from green beauty essentials, to superfoods, and healthy lifestyle. No B.S. just the goodness from Mother Earth! Purchase at WellnessTribe.com / COUPON MOTHERSDAY4 for a bonus gift with your purchase! Sometimes you can work your behind off in the gym, you can eat clean and still you don’t see results. When you’re doing everything right why not try something to give your metabolism a little boost? Every mom wants to get her old figure back. Maybe she wants that 20 year old body back or maybe she just wants to lose a few pounds to enhance those mommy curves. We all know it isn’t easy! Give Mom a little push this year with Garcinia Cambogia, a clinically tested, 100% pure and natural weight loss supplement. Help Mom curb that appetite and reduce hunger this Mothers Day. She’ll thank you later. Combine this with a few healthy snacks, her favorite magazine subscription, and some fitness gear to get Mom back to the body she’s confident in! Fresh flowers can make a world of difference in your home. Who doesn’t love to brighten their home with fresh flowers? With Bloomsy Box, mom will get fresh flowers delivered right to her door every month. With BloomsyBox you get no mixed bouquets with unnecessary extras – they only deals in “single-variety”- hand-tied bunches. The flowers are sourced direct from suppliers in South America, Holland, Thailand and California meaning no middle-man mark-up to increase the price. Skip a month or cancel at any time – with no hassle! Mom will feel special each time a new bouquet arrives! I came across this Minnesota based shop while I was at the Lowertown Pop media preview and I fell in love with the smells and lip balm from The Bath Bird. Bath Bombs are all the rage and if you have a nice, big soaking tub the bombs from The Bath Bird are positively delightful. Laura, the owner and creator, makes every bath bomb, body scrub, lotion, lip balm, soap, wax melt, well, you get what I’m saying; she makes everything from scratch using no parabens, no phthalates, and no sulfates. Sometimes it takes her weeks to get the ingredients right in each product! 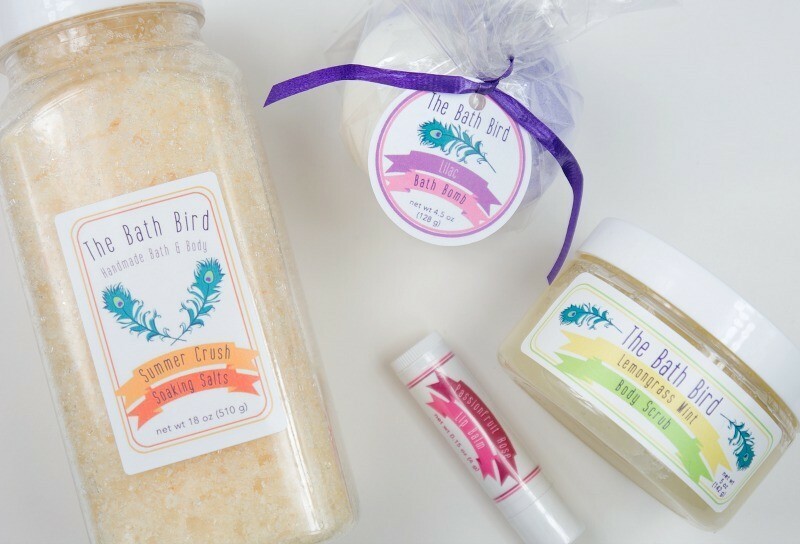 Purchase at The Bath Bird, free shipping until May 12th when you use the code LUVMOM. Dumpster diving. That’s what Jessica, the Minnesotan artist behind Desdamona Doolittle’s does to get the genuine leather she turns into treasures. Okay, she doesn’t literally dive into dumpsters but she does upcycle every piece she creates. If you’re the kind of mom who is a little edgy and appreciates the story behind a piece of jewelry then you have got to check out Desdamona Doolittle’s. 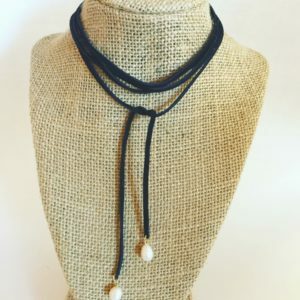 Look at these simple and classy chokers? My friend Nicole purchased one and it has just enough edge to make it look like she’s ready to hit up the most recent dive bar on her honey’s motorcycle but she could still wear it to her son’s school concert. (I don’t think her husband has a motorcycle but at least she looks like she should be on one.) There’s a choker in her Etsy shop that has stars on it and I had the chance to purchase it when I first saw Desdamona Doolittle’s; I still can’t stop thinking about it. I should’ve purchased it when I had the chance. Purchase at Desdamona Doolittle’s Trash to Treasure Leather. Remember when you held your baby in your arms for the very first time? How tiny their hands and feet were? You knew in that moment that you would do anything necessary to nurture and protect those little hands and feet. 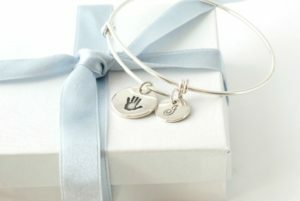 Now you can carry that reminder around with you with hand print and footprint jewelry from Silver Sculptor. Artist, Joanne Simmons, actually takes your child’s hand and footprint and places it on a piece of jewelry. You have to see how she does it, it’s fascinating. You can choose from necklaces and cuff links to unique items such as keychains, golf ball markers, Alex + Ani styled bracelets and many more products and shapes. It’s the perfect gift for that first time mom or even that first time dad for Father’s Day! Purchase at Silver Sculptor and receive 20% off your first purchase when you sign up to receive the newsletter. If you’re a new parent or new to the babywearing world you have to check out Lalabu. Lalabu’s Soothe Shirt® is a stylish and innovative all-in-one babywearing shirt that’s both a nursing tank for mom and a cozy carrying pouch for baby. 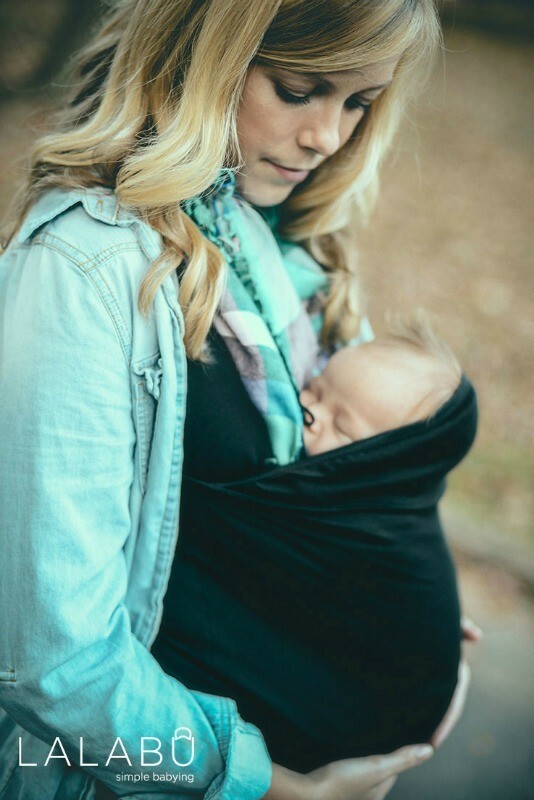 It’s easy to wear and you can breastfeed comfortably while wearing your sweet baby. The Atlanta-based makers of the Soothe Shirt® and Dad Shirt™, gives 2% of every purchase to mothers in African countries. Lalabu also has a shirt for dads, the Dad Shirt™, and it’s similar in concept to the Soothe Shirt®. If you know a mom who loves to give to the greater good and stand behind a cause Lalabu is definitely a brand you need to look in to supporting. In fact, on April 20th, Lalabu launched an Indiegogo campaign that will run through May 19 to fund their newest product. The goal of the campaign is twofold. In addition to funding the development of Lalabu’s next product, the greater goal lies in changing the world one thriving family at a time. Lalabu’s desire is to make babywearing convenient and accessible for all new parents. For more information visit their Indiegogo page here. 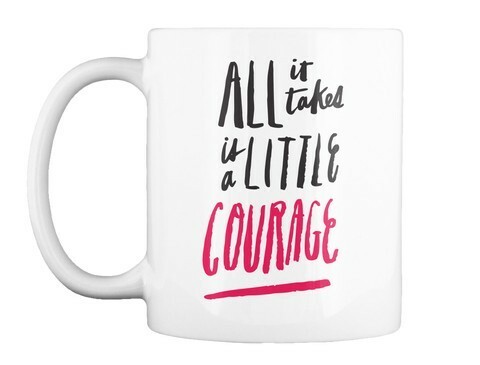 You know how I love a good coffee mug and a t-shirt that has a fun saying on it? Well, recently I’ve come in contact with a website called Teespring where anyone can become their own entrepreneur and design and sell their own products. Millions of people are using Teespring to turn their ideas into high quality products, and everything you see on the site and below has been designed by individuals! Teespring is similar to Etsy in that what you see is designed by an individual and not a brand that you would find in a big box retail store. 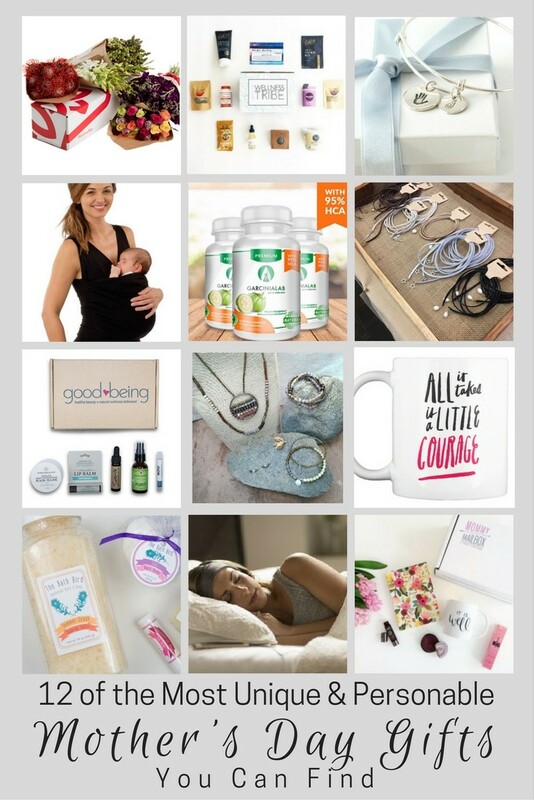 Check out their Mother’s Day selection to purchase that unique and personal Mother’s Day gift. Purchase at Teespring. 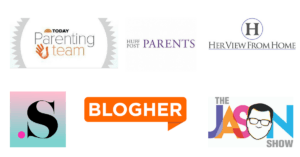 View their Mother’s Day selection. What would a Mother’s Day gift guide be without a recommendation for a spa? 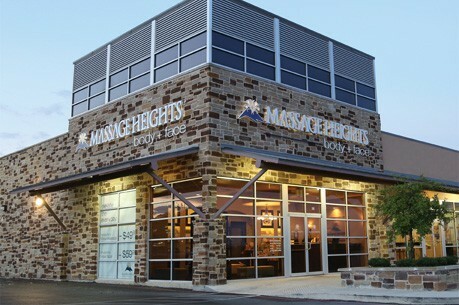 Specializing in attainable luxury, Massage Heights is dedicated to elevating the guest experience by offering world-class spa treatments at an affordable price point. With over 145 US & Canada locations, and a variety of services such as revitalizing facials, microdermabrasion, hot stone and aroma therapy, as well as Swedish massage, Massage Heights allows you to book any service without a membership. Find the location nearest to you here. I hope you were able to get inspired and feel empowered to say, “You know what, I do want something for Mother’s Day this year!” Tell me below what product or products are you most interested in? Pin it or share with your friends! I’ve been dropping hints to my husband that I want a breastmilk charm. Fingers crossed!